Tsum Tsum Vinyl News! 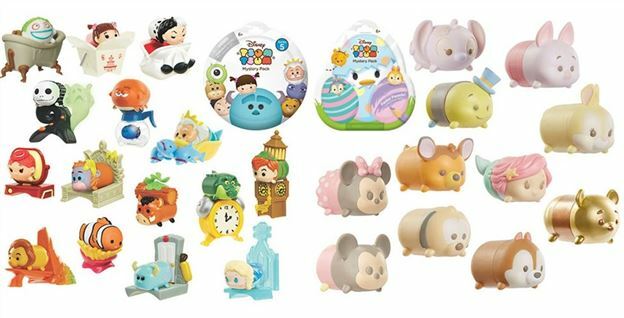 New Easter Tsum Tsum Blind Packs Coming Soon! A set of Vinyl Tsum Tsum Blind Packs with cute spring themed accessories are going soon! 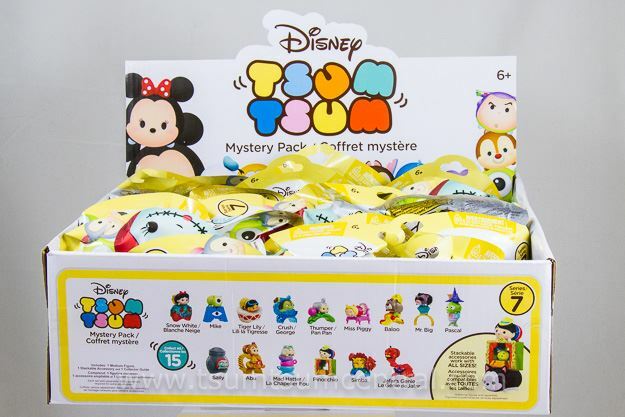 A close look at the Tsum Tsum Vinyl Series 8 Mystery Packs with a Giveaway courtesy of Entertainment Earth! The fine folks at Entertainment Earth sent us a box of the Jakks Pacific Vinyl Disney Tsum Tsum Series 8 Mystery Packs to review on the blog... and even better... they are providing a box of Disney Series 8 Mystery Packs to give away to one of our readers! 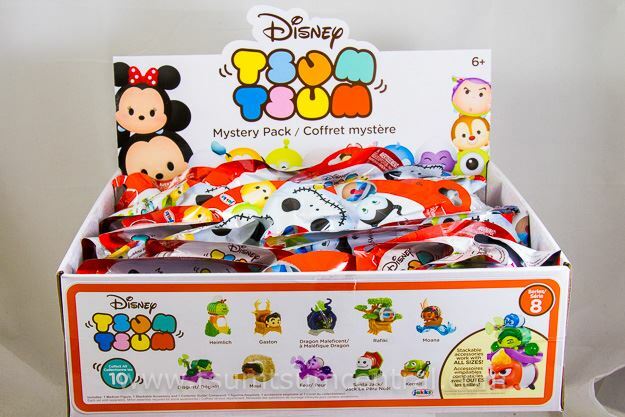 A close look at the Tsum Tsum Stacking Vinyl Disney Series 7 Mystery Packs with a giveaway courtesy of Entertainment Earth! The nice folks at Entertainment Earth sent us a box of the Jakks Pacific Vinyl Disney Tsum Tsum Series 7 Mystery Packs to review on the blog... and even better... they are providing a box of Disney Series 7 Mystery Packs to give away to one of our readers! 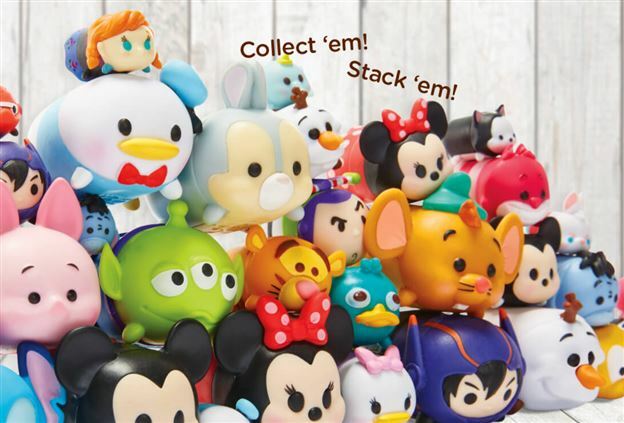 A close look at the Tsum Tsum Stacking Vinyl Disney Series 6 Mystery Packs with a giveaway courtesy of Entertainment Earth! 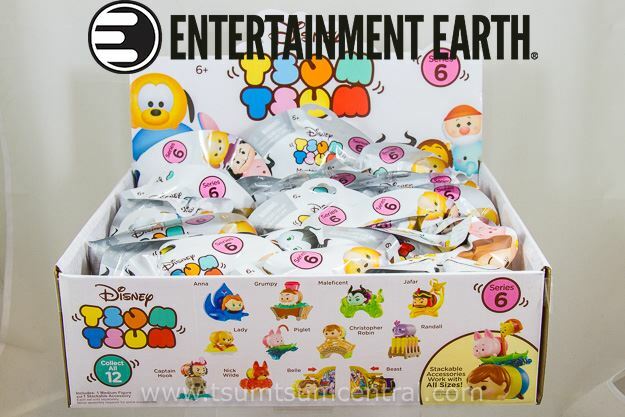 The fine folks at Entertainment Earth sent us a box of the Jakks Pacific Vinyl Disney Tsum Tsum Series 6 Mystery Packs to review on the blog... and even better... they are providing a box of Disney Series 6 Mystery Packs to give away to one of our readers! Vinyl Tsum Tsum News! 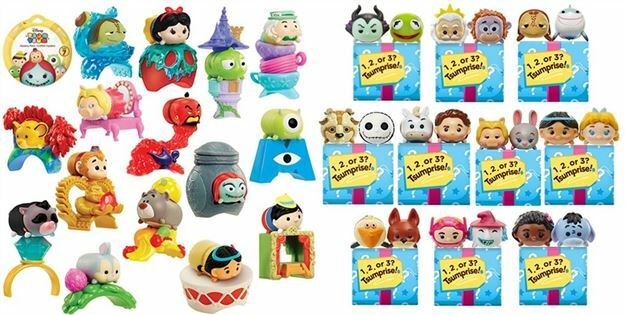 Previews and more pre-orders of upcoming Vinyl Tsum Tsums including new Story Play Sets! Today we got more previews and even more pre-orders for upcoming Disney and Marvel Tsum Tsums! 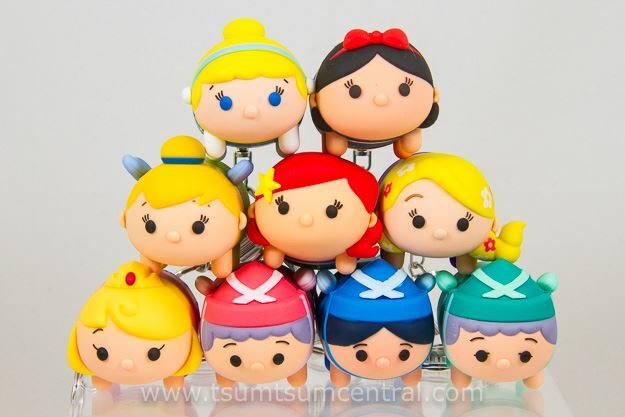 Vinyl Tsum Tsum News! Previews of Disney Series 7 and Marvel Series 4 Tsum Tsums! Yesterday a bunch of upcoming Vinyl Tsum Tsums were available for pre-order and today we got previews of Disney Series 7 and Marvel Series 4! Tsum Tsum Vinyl News! Marvel Series 4, 5, and 6 and Disney Series 7, 8, 9, and 10 now available for pre-order! A lot of upcoming Vinyl Tsum Tsum Series from Jakks Pacific are now available for pre-order including Marvel Series 4, 5, and 6 and Disney Series 7, 8, 9, and 10!! 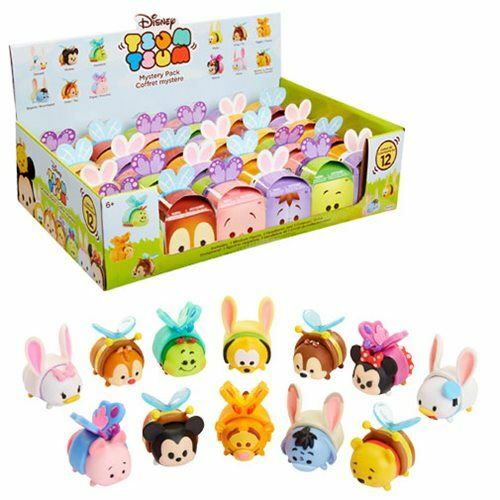 A close look at the Tsum Tsum Stacking Vinyl Disney Series 5 and Pastel Parade Mystery Packs with a giveaway courtesy of Entertainment Earth! 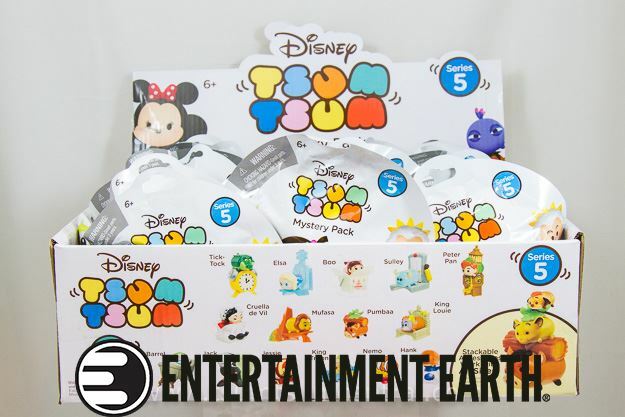 The fine folks at Entertainment Earth sent us a box of the Jakks Pacific Vinyl Disney Tsum Tsum Series 5 and Pastel Parade Mystery Packs to review on the blog... and even better... they are providing a box of Disney Series 5 Mystery Packs to give away to one of our readers! 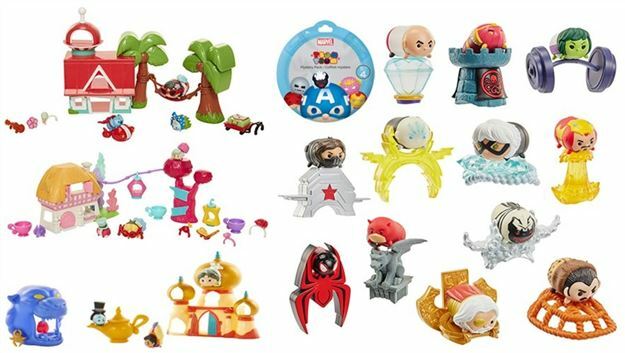 A close look at Tsum Tsum Figural Key Rings Series 2 and 3 and Preview of Marvel Series 1! We recently received Series 2 and 3 of the Tsum Tsum Figural Key Rings from Monogram and of course we had to take a look at them on the blog! Tsum Tsum Vinyl News! Disney Series 5 and Pastel Parade Mystery Packs now available for pre-order! Today Entertainment Earth added Disney Series 5 and Pastel Parade Mystery Packs to their website for pre-order (expected to arrive next month)!